Aluminum Wiring Replacement – What You Don't Know Could Hurt You! It was a common practice in the 60’s and part of the 70’s to use aluminum wiring. During this period, copper prices were high and builders were seeking a more cost-effective alternative to use. Without a true understanding of how aluminum would hold up long term, the switch was made. The problem, we now know, is that this type of wiring pose a potential fire hazard. This means that your home and the safety of yourself and your loved ones is at risk. The solution should always be aluminum wiring replacement in New Castle County but it can’t hurt to know more in order to come to that conclusion. Using aluminum, it turns out, comes with a number of problems. Issues that can lead to disastrous outcomes like fires that can result in injuries or death. So why is aluminum such a potentially problematic threat? For one thing, aluminum connections tend to overheat. So, the more you use your electrical system, the higher the chances that something will go wrong. More use means greater heat and means you run an increased risk of experiencing overheating. In some cases this could just mean that you trip the breaker but it could also be a lot worse. Aluminum also has a lifespan of about 30 years. Even if, at the very latest, the aluminum wiring in your home was installed in 1975, that means it stopped being useful in 2005. That’s well over a decade ago! Aluminum is softer than copper which seemed great because it could be easier to work with. However, this also means that aluminum wire tends to slip out of place. 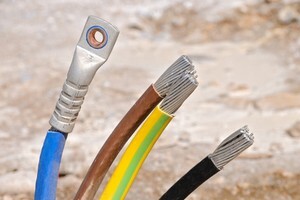 Soft wire, especially once heated up, can come loose from housing units and connectors. This is one of the traits that makes it so dangerous. The bottom line is that if you still have aluminum wiring it is time to invest in getting it replaced. Even if you are unsure of the type of wiring you have, you need to let a professional inspect it and let you know. Safety should always come first when it comes to caring for your home and your loved ones. In order to best protect your home, it is about more than just getting aluminum wires replaced. You need to feel confident that you are getting the best workmanship possible. This is why wise homeowners make the decision to call on the experts here at Electrical Solutions. 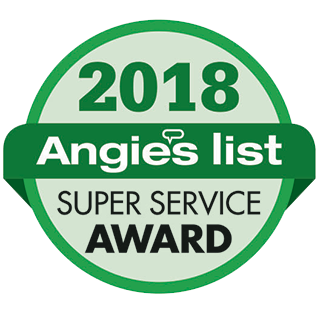 With over 20 years of experience backing us up, you can feel good about the quality of work you will be receiving.